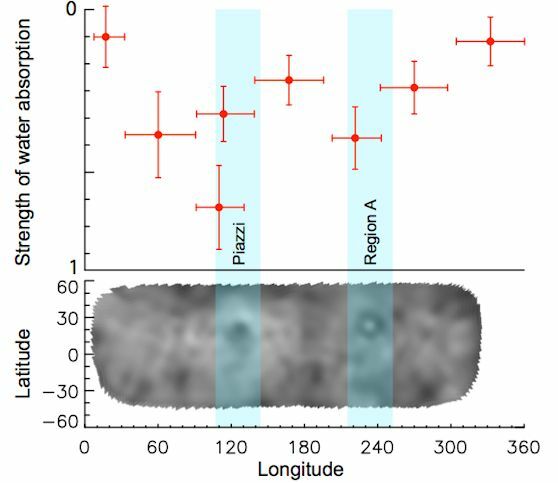 Jan. 22, 2014: Scientists using the Herschel space observatory have made the first definitive detection of water vapor on the largest and roundest object in the asteroid belt, dwarf planet Ceres. Herschel is a European Space Agency (ESA) mission with important NASA contributions. Data from the infrared observatory suggest that plumes of water vapor shoot up from Ceres when portions of its icy surface warm slightly. 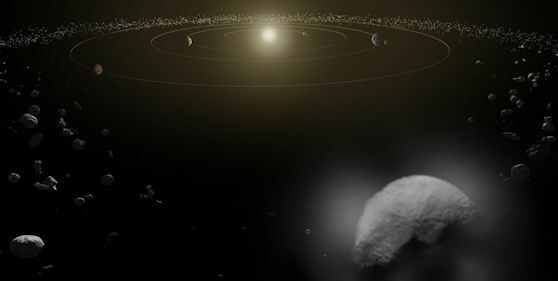 This research is part of the Measurements of 11 Asteroids and Comets Using Herschel (MACH-11) program, which used Herschel to look at small bodies that have been or will be visited by spacecraft, including the targets of NASA's previous Deep Impact mission and upcoming Origins Spectral Interpretation Resource Identification Security Regolith Explorer (OSIRIS-Rex). Laurence O' Rourke of the European Space Agency is the principal investigator of the MACH-11 program. More information about Herschel is online at: http://www.esa.int/SPECIALS/herschel. More information about NASA's role in Herschel is available at: http://www.nasa.gov/herschel. For more information about NASA's Dawn mission, visit: http://www.nasa.gov/dawn.